Cleveland Cavaliers point guard Deron Williams plans to compete in BJJ when he’s retired. Williams — who has also played for the Jazz, Nets, and Mavericks — was a wrestler before he played basketball. He is also an MMA fan who owns his own gym, Fortis MMA in Dallas, Texas. In fact, one of the gym’s fighters, Rashad Coulter, was on the most recent UFC card, UFC 211, which also featured Cleveland native and Heavyweight Champion Stipe Miocic. Williams, however, does not have any plans to compete in MMA himself, which is primarily a young person’s sport. BJJ, on the other hand, is usually easier for those in their forties, fifties, and even seventies. 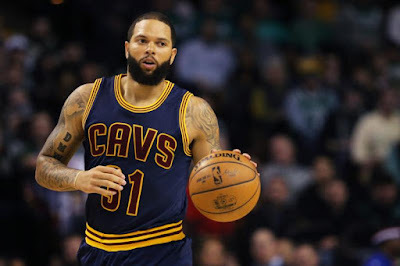 Furthermore, Deron Williams’s 6’3″ stature will surely give him an edge, especially when it comes to triangles and preventing guard passes.